No student in Uppsala can claim to have lived the full experience without participating in what has to be the most quintessential of Swedish student celebrations – Valborg. Although Valborg was also traditionally celebrated in England, as Walpurgis Eve, this knees-up as an ode to the coming of spring is now a rather obscure pagan hangover in places outside of Scandinavia. I’m Sweden, however, ‘Sista April’ (the last of April), is no ordinary day in the calendar, especially in the calendars of students in Uppsala and our rival university, Lund. As soon as you step foot into the university, Valborg becomes as fundamental a part of your new vocabulary as hej or fika or oh god it’s cold. Lecturers rave about it, the Nations begin planning bigger and better festivities, and veteran students reminisce about previous years’ antics. For this reason, the international students who only stay for the first semester feel practically obliged to book a trip back in April, meaning that the city’s once again filled with familiar faces, and the capacity of small student dorms is pushed to new limits. I was lucky enough to have four of my first semester friends to visit, in addition to my boyfriend, who I somehow managed to persuade to return after he’d suffered the coldest day of the year when he stayed in February. Despite its name implying that the celebration is limited to a single eve of merriment, in its present form students eek out an entire three days to put aside the commitments of studying and sleeping, prioritising instead a host of weird and wonderful traditions. Skvalborg is the warm-up for the warm-up, a day (and night) of easing yourself into the celebrations, choosing one or more of the nations to base yourselves for eating, drinking, socialising and partying. It’s a bit more low-key than the other days, but there’s a tangible sense of excitement around the city. The previous evening, my friends and I had won tickets in a quiz to ‘Tirolborg’ at Västgöta Nation, an Oktoberfest-style event with tankards of beer, bratwurst and strudel and a live oompah band. After braving the cold and sitting outside, we cooked together in student accommodation in town, before heading to a very packed Flogsta Party until the early hours. Due to the previous night’s antics, our Kvalborg began later than intended, as we headed to VDala Nation’s rooftop terrace for food, overlooking the revellers at Upland Nation’s day-club next door. We met with a few friends to recuperate by the river, then out to another house party in the evening. The big day! Alarms were set intimidatingly early to ensure we could secure a good spot by the river Fyris, for forsränningen – the running of the falls of the river – one of the most established Valborg traditions. An annual feature of Valborg celebrations since 1975, this race pits small teams of engineering students against one another as they attempt to navigate the weirs of the Fyris river on a self-constructed polystyrene raft, modelled on whatever wild imaginings take their fancy. This year’s highlights included a wine bottle straddled by “Frenchmen”, a bathtub and the Hogwarts Express. You can read more about this peculiar tradition here. After we’d had our fill watching students capsize into the icy cold water, we headed to Västgöta for a traditional herring lunch, consisting of pickled herring, boiled potatoes, hard bread, chives and sour cream (and, of course, singing and snaps). For the week before the day of Valborg, a countdown is projected on the front of the university library, Carolina Rediviva, marking the moment of the ‘donning of the caps’. At precisely 3pm, the vice-chancellor, watching the crowd below from the balcony, removes her traditional Swedish student cap – an action which is replicated by other graduates, young and old. The white caps were first introduced in Sweden during the 1800s and were used by students to show that they belonged to a student union. Later, they were worn by students upon completion of their high school studies. Paper caps are handed out to students without the real-deal to don, but I borrowed my Norwegian friend’s for the authentic experience. There’s a choir performance to follow, and then tradition dictates that students move to Ekonomikum Park to drink and listen to music, a quiet and usually civilised space that turns into a post-apocalyptic nightmare once the revellers have left and all that remains are bottles and camping chairs. Our Valborg ended queuing in the rain that night for an extortionately priced club, but if you’re really hardy, I hear that ‘Finalborg’ and ‘Katastrofalborg’ are on some people’s agenda. If you can hack another two days and nights of partying, I salute you. 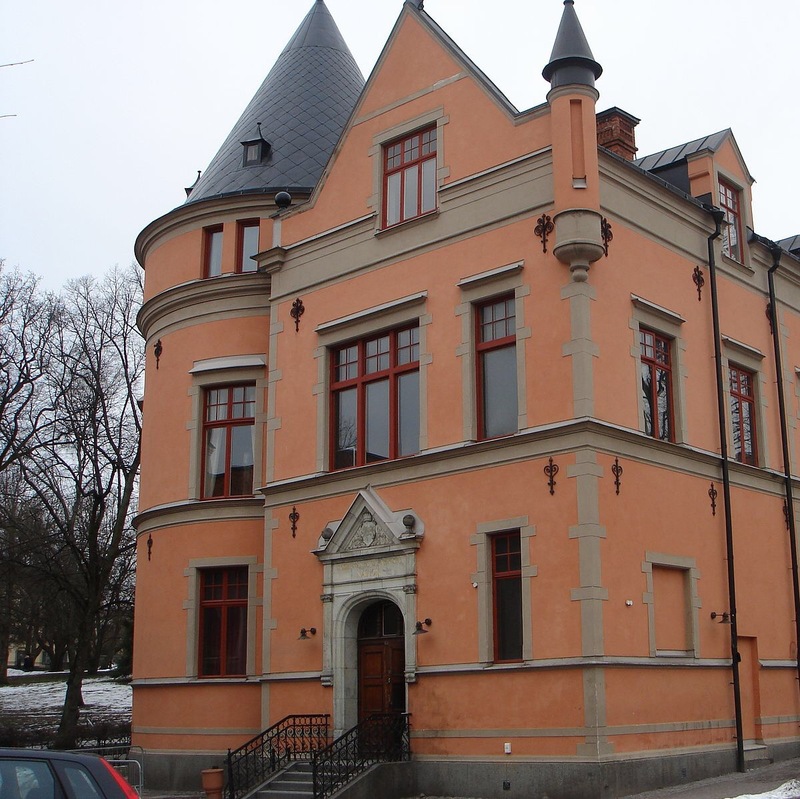 The thought of escaping the comfort of the Durham-bubble for 12 months was a big factor in my decision to undertake an Erasmus year – a notion which is becoming increasingly ironic as I spend more time here in Uppsala. Researching before I moved to this small, medieval European student city, reading about it’s dominating castle and cathedral, rural surrounds and strong café culture, I’m still not entirely sure whether I missed the uncanny parallels, or was drawn to them. Obviously, Sweden has presented some degree of culture-shock, even if it’s only in the form of the weather (snow in October, anyone? ), but I can’t help feeling at times that I’ve entered some sort of colder, more expensive parallel universe. The most obvious counterpart to Durham has to be the tradition of Student Nations. I’ve alluded to these previously, but, as the core of student culture in Uppsala, they deserve an explanation in full. The notion may seem a bit foreign, and my friends here were certainly perplexed by the system, but, as a Durham student, I had an immediate point of comparison. The idea of belonging to a small student body, complete with its own housing, pub, societies and formal dinners was completely new to most internationals; to a Durham student, however, this is a simply our collegiate system dressed in stylish Swedish garb. The ‘nation’ model was adopted by Swedes from the French in the 17th century, and today exists in Uppsala university and our greatest rival, Lund. There are 13 nations in total, each named after a Swedish province: Stockholms Nation, Gotlands Nation, Västgöta Nation (VG), Östgöta Nation (OG), Gästrike-Hälsinge Nation (GH) , Göteborgs Nation, Värmlands Nation, Norrlands Nation, Uplands Nation, Kalmar Nation, Södermanlands-Nerikes nation (aka Snerikes), Västmanlands-Dala (V-Dala) and Smålands nation. Traditionally, to be eligible to join a specific nation you would have to be from the province it represented. In today’s international academic environment, however, that logic doesn’t translate too well, and all students are now free to chose to join whichever nation/s they wish. This is with the exception of Snerikes, which still maintains that Swedish students reside in/ have close family residing in its associated province if they wish to become members. I’ve heard that people go to the lengths of presenting their grandparents’ birth certificates in a bid to join, so I was very relieved to hear that this condition is waived for Erasmus students! Each nation varies massively in size, history and character, making for a lot of overwhelmed students in the first week of term, each very conscious of the looming deadline to join a nation before the temporary, all-access card given upon arrival expires. I, being true to form, deliberated for hours over the pros and cons of each nation, but finally settled for Västgöta and Snerikes, the two oldest nations – an apt choice for a history student. Snerikes is a very popular choice for international students, mainly because membership grants you free entry to a weekly club night held in the incredible ‘pink castle’. Built in the 1890s, it’s what it says on the tin, and its grandiose exterior is continued inside, with a large staircase winding upwards from the first dance floor to a balcony flagging the other two club rooms, in which portraits of sombre-looking old white men stare down at you disparagingly whilst you dance. It’s quite the experience. Västgöta nation, whose house boasts a candlelit medieval cellar as its pub, is one of the smaller nations, but equally historic and charming. Sitting on the riverbank, it has a lovely beer garden (which I only got to glimpse before it closed at the end of ‘summer’ in early September), quaint library upstairs and the most amazing daily vegetarian soup lunch. Every nation serves food of some variety, whether it be three-course vegetarian dinners at Kalmar, study fika at Uplands, Sunday brunch at VG or traditional Thursday pea soup at Norrlands, the choice is expansive, the prices are good and the best thing is that they are entirely student designed and run. Working at a nation is something every student should try at least once – the pay is never the incentive (you can expect about £10 for a 6 hour shift, and if, like most exchange students, you don’t have a Swedish bank account, you won’t be able to receive it anyway), but it’s a lovely friendly environment, there’s always free food, and it’s a rare chance to meet elusive Swedes. I worked at Sunday brunch a few weeks ago with a friend, and the ‘work’ consisted largely of making industrial scale pancakes and hummus, which we ended up bringing home with us. If nations are the body of student life in Uppsala, gasques are the beating heart. Best described as Durham formals on crack, these evenings need to be experienced to be understood, but I’ll give it a try. The night begins at around 5pm, when members of a nation gather in varying degrees of formal wear (according to dress code) for a drinks reception. Following this, a three course dinner is served in the nation’s great hall. So far, so Durham, you might be thinking. You’d be wrong. Whereas Durham formals are occasionally enlivened by some odd traditions, in Uppsala the traditions are the gasque. Firstly, every student owns a songbook specific to their own nation, which is employed at increasingly regular intervals throughout the night. You arrive for the dinner, you sing. Your food is served, you sing. Someone gives a speech, you sing. A choir or theatre group performs; you sing a special song to thank them for their efforts. And, of course, all these songs are unfamiliar and entirely in Swedish. After every song, a shot of snaps is drunk, involving an elaborate toasting ritual which had to be taught to us new students at our recentiors (freshers) gasque. The songbooks also serve as a journal for your friends to write notes in during the evening, which tradition dictates cannot be read until the morning after. The dinner ends with, you guessed it, another song, which is finished whilst standing on your chair – if you take a seat after this point it’s said you’ll never graduate…which is a convenient means of emptying the room of rowdy students and releasing them into wherever has been assigned as the dance floor for the night’s festivities. Every year around Halloween, one of the most famous of Uppsala’s gasques occurs: the Skelettgasque. The story goes that, a few hundred years ago an Uppsala alumnus died, donating his body to the university in his will. The problem was that he was a member of two nations, Östgöta and Gästrike-Hälsinge, so his remains belonged to both. This issue was creatively resolved by separating his skull from his body, and ceremoniously bringing the two parts together once every year at a feast held in his honour. This tradition became the Skelettgasque, which is now distinctly Halloween themed, with a costumed dress code and the nation house replete with cobwebs and bloodied hand prints, and of course the skeleton of the great man himself taking pride of place on stage. I had a brilliant, if somewhat bizarre, evening, though was greatly disappointed when my (less naïve/ better sighted) friends pointed out the plastic qualities of the skeleton… our suspicions were confirmed when the hosts started dancing onstage with the bones, but I still like to imagine that the real thing was lurking in a cupboard somewhere nearby. So that’s nations in a nutshell. Job opportunities, dancing, studying and, most importantly, singing. Student life in Uppsala just wouldn’t exist without them, and, as a Durham student, you can be sure that you’ll feel right at home.